Close up of the inside cut out feature. Element changes each spread to reveal a new colour. Flat design of the last spread in the book. 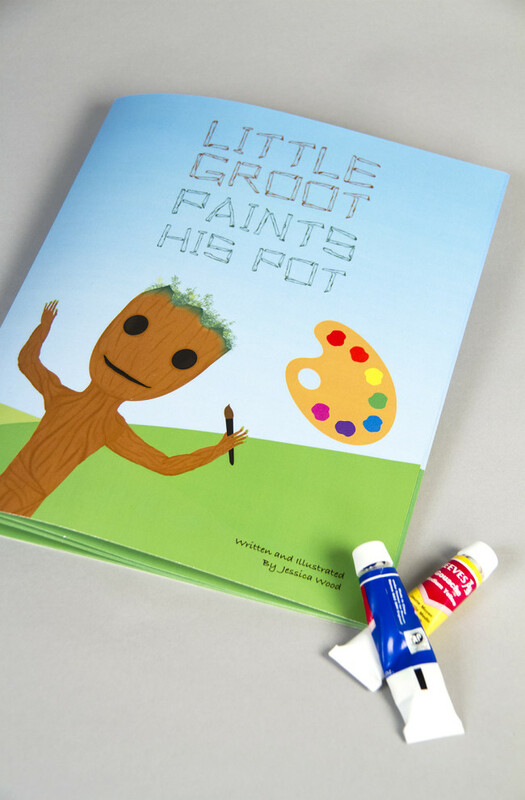 Little Groot is a play off of the Guardians of the Galaxy character, Groot that in the end is back to a tiny tree. 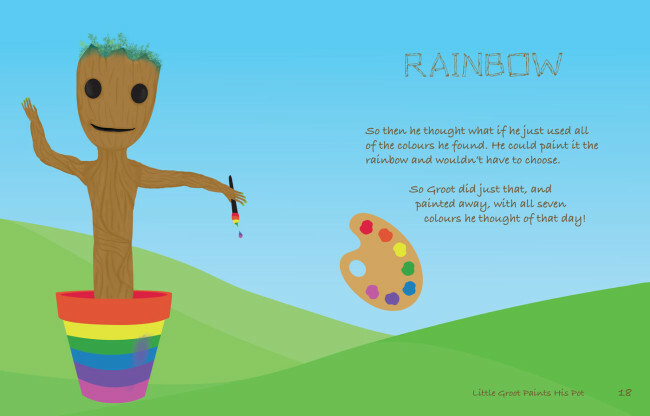 This children’s interpretation of the character decides to paint his pot for this particular book. The concept centres around the main cut out element that recurs throughout the book. 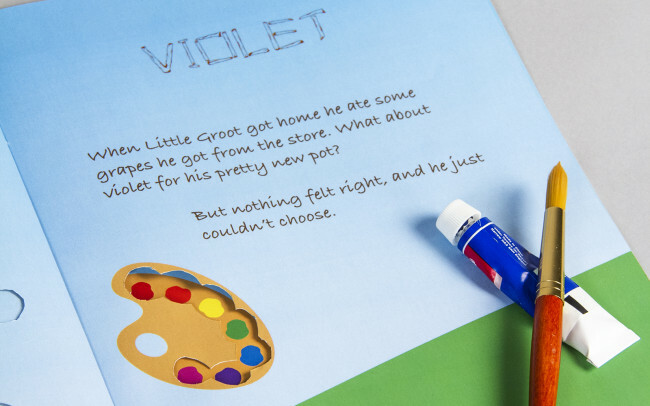 For each new colour that the character thinks to paint his pot, the page will reveal that colour on his palette. The book engages children and creates an interactive element for the reader. It’s designed with simple details, to create the appeal of the character, but very focused at the younger target audience.